Why not hire us for your special event whether is be a Birthday Party, Prom Nights, Special Occasions, Country Shows, Motorsport Events, Steam Rallies and Festivals. We are finding that our prom night and birthday hires are becoming very popular because of the novelty factor. We cover the whole of Scunthorpe, Grimsby, Doncaster and Hull as well as national events. We are proud to be in partnership with many major UK events some of which are covered below. 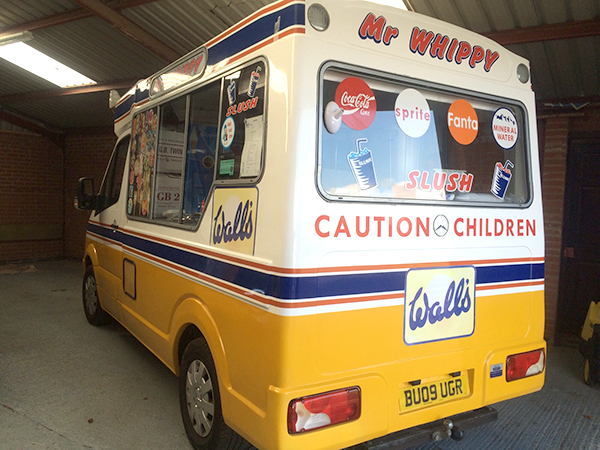 Our fleet of icecream vans are well equipped and can service 100,000's of customers. We can stay on site for just a few hours or any number of days you want Delduca icecreams to cover. Our staff offer a quick, professional service maintaining high standards in catering. Why not give a try! Contact Pep on 07547 156453 to hire our icecream vans for an event or email us at info@delducaicecreams.co.uk for more information. "We hire Delduca Icecreams every year and they always arrive on time and are ready to serve once the gates open. Polite and friendly staff"
All our staff at Delduca Icecreams are fully trained on the latest Health & Safety guidelines. We cater for all events large or small all over Lincolnshire and Nationwide.